It is evident from every aspect that Islam is not merely a religion, rather it is a conduct of life. To live a life t hat is pious, virtuous and true to the values of humanity, one will always find refuge under the umbrella of Islam. Moreover, the prime source of guidance that Islam offers to all those who seek Truth is Quran. As Quran is the prime source of guidance for all the humanity, especially Muslims, therefore, it is the duty of parents to ensure that the kids get proper Quran education. Thus, Muslims try their best to give the best Quran education to their kids, however, for Muslims residing in West the job becomes difficult as they are not able to find good Quran teachers in their neighborhood or city in some cases. For all the Muslims in the West, QuranReading.com comes as a ray of hope for all those who want to teach Quran to their children. 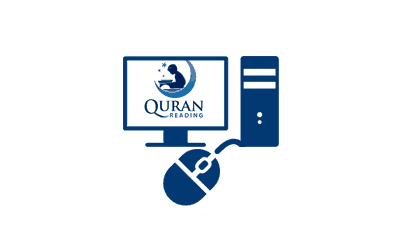 QuranReading.com has been providing Quran teaching service to Muslims across the globe for almost a decade. The Quran learning process is easy to start with QuranReading.com. We have trial classes, once the students are satisfied by trial classes they can register and set a lesson schedule. The parents can select the tutor of their liking and monitor the proceedings of lesson to ensure that the children are provided quality education. Our 24/7 customer service ensures that all your queries are answered and the problems resolved instantly. Muslims in Western countries need not to despair, as QuranReading.com is always present to help the parents teach their children about Quran and Islam. "One who teaches even an Ayat of the Holy Quran, the Sawab (good deed) will be earned and returned to them so long as the Ayat is being recited."